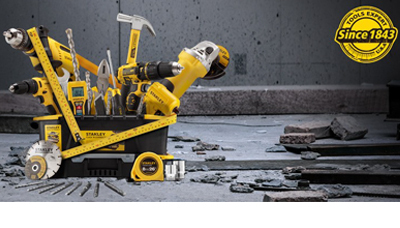 STANLEY— Tools that get the job done faster, easier and better. 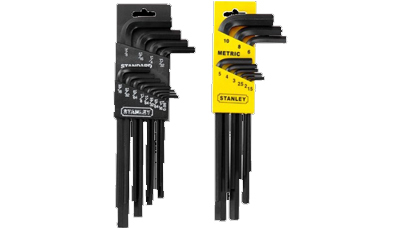 Stanley was established in 1843 in new Britain and is one of the largest brands in manufacturing tools worldwide. A manufacturing base of over 60 factories and sales in over 130 countries, creates the momentum for Stanley brand to reach across the globe and provide the user with the quality and innovations. 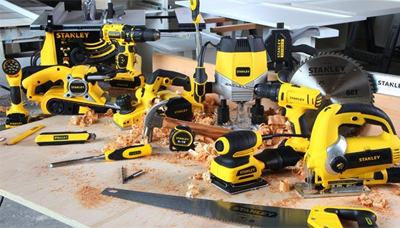 Measuring Tools, Electronic Tools, Layout Tools, Knives, Blades, Saws, Hammers, Demolition Tools, Chisel & Nail Sets, Consumer Fastening, Screwdrivers & Nutdrivers, Pliers & Adjustable Wrenches, Clamps & Vises, Finishing Tools, Illu-mination Tools, Mechanics Tools, Air Tools, and Inflators.